SALT LAKE CITY — The clear, sweet notes of the organ broke the reverent solemnity that filled the conference center as the choir rose and began to sing. Though this favorite Mormon hymn is a reference to the Good Shepherd, Jesus Christ, it seems the parallels in former LDS church President Thomas S. Monson’s own life are striking. “He would go to visit someone in need, feel while he was there an impression to go to another person, and then to another. More than a few times, such a person said, ‘I knew you would come,’” said President Henry B. Eyring, first counselor in the First Presidency under President Monson. Thousands gathered Friday afternoon for funeral proceedings honoring President Monson who served as the prophet and leader of the LDS Church for nearly a decade. Many remembered his unfailing service to others, especially the sick and lonely. Read the full story here: KSL News. Written by LIESL NIELSEN, KSL News.com. 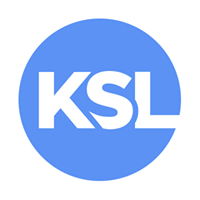 KSL.com is hosted & managed by Deseret Digital Media - a Deseret Media Company – out of Salt Lake City, Utah. KSL.com news reports are published with permission of KSL.com.